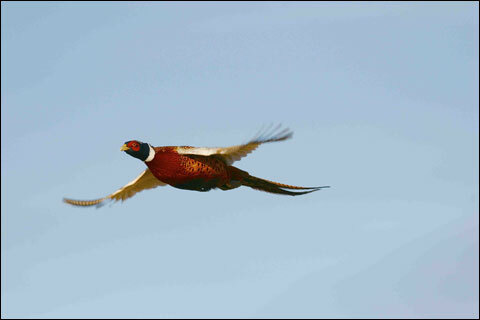 In the 1960s pheasants were big game birds in South Dakota, the upland equivalent of Canada geese. Tough, durable, armed with spurs and ready to shoulder through a dense swarm of shot. A big ringneck was no bird to fool with. 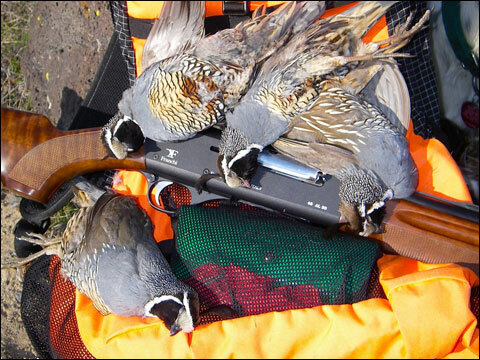 The full-choke 12 gauge was the hands down favorite for taming South Dakota’s feral pheasants. But I didn’t use one. An inveterate iconoclast from an early age, I chose for my first shotgun a 12 gauge, but with a 26-inch barrel and modified choke. Quick. For those close flushes. Heresy. Encounters with South Dakota ringnecks proved to the author's satisfaction that a 28 gauge properly wielded was more than enough tool for the job. Sorry, but real-world experiences with Dakota’s nastiest roosters early on informed me that they flush close, are a big target and don’t like even a light dose of lead #6s so long as that dose is centered on target -- or slightly toward the front. There is a lot of tail to a pheasant, and it absorbs much of the blame for ringnecks being hard to kill. I’ve trimmed more than my share of tall tails. 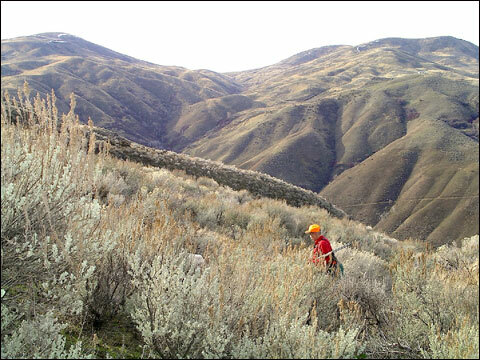 But I’ve also taken many roosters with #7½ shot and more than a few with #8 shot while chasing quail. Again, a pheasant hunting heretic. After my initial and successful experiments with the quick, short-barreled, modified-choke 12 gauge, I fell into a hitter’s slump that had me grasping at straws. One of the stouter straws I grasped was a 30-inch, full-choke, 3-inch magnum 12 gauge. This would surely break my slump. When the going gets tough, the tough appreciate the lighter weight and faster handling characteristics of a lightweight 28 gauge. Even a day’s supply of shells is easier to carry into bird country like this. Instead it nearly broke my shoulder. Well, that may be overstating things, but those 3-inch loads did help me develop a respectable flinch, and that took longer to break than my shoulder. Therein lies the answer to the “mystery” of the 28 gauge as pheasant medicine. It points easily and doesn’t kick. Many a shooter over the years has properly extolled the puny 28 gauge as performing all out of proportion to its size, but they’ve usually missed the reason. After all, three-quarters of an ounce of shot isn’t supposed to kill like lightning. But often does. Improved “aim” is why. Yes, yes, we all know you don’t aim a shotgun, but that word gets the message across more clearly than “point.” With a lighter and lighter recoiling gun, I find it easier to concentrate on the target, and concentration is the biggest part of pointing successfully. A 6-pound, 28-gauge handles like a wand, quick and precise, and when you pull its triggers it erupts with a pleasant pop that doesn’t hurt your ears any more than it hurts your shoulder. So you relax, you concentrate on that flushing bird, focus hard and dust it, the gun merely an afterthought until you realize what it’s just done. Again. I began my slow but steady descent into lighter gauges with the purchase of an SKB 20-gauge over/under (a Model 500, I believe) in 1979. By that time I had suffered through 14 years of various 12 gauges, the best of which was an inexpensive, Spanish Zabala boxlock 12 gauge imported by Richland Arms. Despite its clunky, beavertail fore-end, it shot better than all the Winchester, Remington and Ithaca pump guns then common to my South Dakota ringneck experience. Two shots instead of three were no handicap. I began sensing the benefits of lighter weight and better balance. The 12-gauge double had primed me for my move to the 20 gauge. Quail are the perfect excuse to try a light 20 gauge, and success with that will inspire you to try a 28 gauge. I predict you'll shoot better both times. Although I’d anticipated limiting the little SKB 20 to bobwhites, doves and early-season ringnecks, it shot so well that I awoke one cold December to realize I hadn’t broken out the 12 gauge all season. Convinced of the efficacy of light-weight 20s, I bought a Browning Citori lightweight in 20 gauge with straight grip stock and 26-inch barrels. Its baptism was a small pond duck hunt over decoys in which six shots brought five puddle ducks to the dinner table. Before that love affair was over, the Citori had claimed most of the upland species in North America, including woodcock, all the grouse except the ptarmigan, all six species of quail, both introduced partridge and, of course, pheasants. We won’t even mention the Merriam’s turkey and the Canada goose. 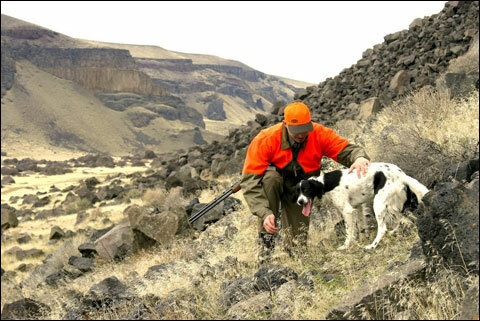 Chukar country emphasizes the benefits to carrying a lightweight 28 gauge like this Ruger Red Label. By 1990 I was feeling cocky enough to order a Ruger Red label 28 gauge, figuring it could become my quail specialty gun. Of course, I had to try it on the first bird season to open that year, doves. When 14 shots spilled a 10-bird limit, I knew I was on to something. Ruffed grouse from the riparian canyons of Idaho quickly joined the list of 28-gauge conquests. A couple of quick doubles on opening day of the mid-October partridge season suggested we try the puny 28 on pheasants. Back to South Dakota we hastened, and there, during an extended stay that pushed into gusty Kansas, the 28 gauge terminated 23 of 25 roosters engaged. Granted, several fell to the second shot and more than a handful had to be run down by Boo, my springer of the era, but most fell with a satisfying thump, nicely dead and awaiting plucking, some as many as 40 yards away. Trust me. I do not shoot that well. Never did with a 12 gauge, never with a 20 gauge, before or since. My sudden success as a wild wingshot might be attributed to a late blossoming of nascent athletic prowess, but more likely it was the gun. And not because it’s ¾-ounce shot charges are “square” or impervious to deformation or otherwise super-efficient. I credit the gun’s fit, minimal weight and bulk, balance and mild recoil for the superior performance of the 28 gauge. You might want to try a 28, too. Not because your 12 gauge is too big or an inferior percussive device, but because you may discover what I have — a light, slim, trim, beautifully balanced 28 gauge that shoulders perfectly centered beneath your “aiming” eye lets you concentrate on the target. Total focus. That’s the key to shotgunning success, and the 28 gauge delivers. Ron Spomer began writing about his outdoor adventures in 1976 and has since been published in dozens of magazines. He's Rifle's columnist at Sporting Classics, Travel Columnist at Sports Afield, Hunting Dogs columnist at American Hunter and Guns, Ammo, Optics columnist at North American Hunter. You can learn more at www.ronspomeroutdoors.com and see his educational video reviews on the Ron Spomer Outdoors YouTube channel at http://www.youtube.com/user/ronspomeroutdoors .